XPB Locker bathroom partitions ensure privacy and security. Over the years, users complained about line of sight gaps between partitions doors and pilasters. In response to these concerns, XPB Locker has since made it a policy to offer bathroom partitions with gap-free interlock designs. When the door is shut, there is no visible gap along the edge. Doors are and panels measure up to 72” per application and have 4 5/16 inches of floor clearance. 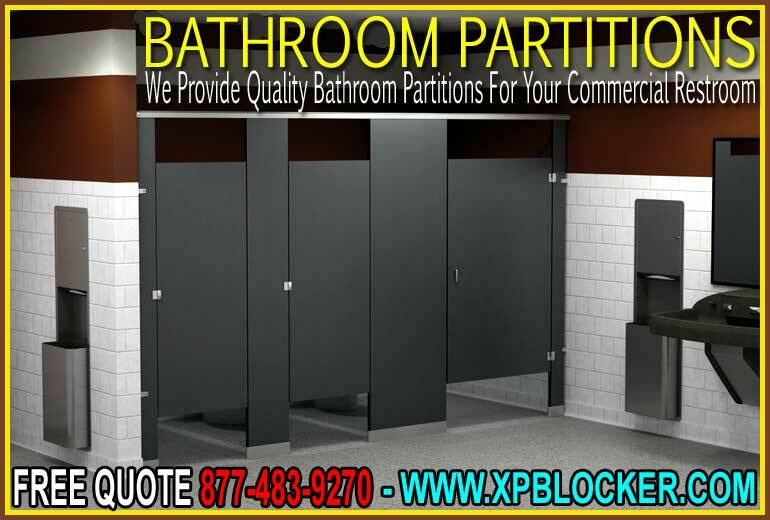 XPB Locker bathroom partitions allow you to create a more attractive restroom environment. Our newer lines of partitions feature concealed hardware. Hinges and brackets are hidden from public view, resulting in an architectural style that is flush with its surroundings and cleaner in appearance. XPB Locker bathroom partitions are easy to install. Thanks to new stile base leveling devices, partitions, pilasters, and doors are easy to install in plumb alignment. New accurate, and more concise, specification methods ensure that components are now manufactured with an improved level of consistency with engineering designs. This new generation of bathroom partitions features a solid phenolic core covered by a plastic laminate with melamine surfaces and a matte finish. This plastic and phenolic combination is highly resistant to impact, denting, moisture, and scratching. Compared to the front-end cost and reduced repair and replacement costs, these bathroom partitions are an excellent choice for areas that suffer occasional vandalism. Their ultra-hard, graffiti off surfaces are easy to clean and maintain, and they are very hard to damage. XPB Locker restroom partitions are built with durability in mind. Partitions are reinforced with inserts installed at the time of manufacture. This reinforces doors that are constantly being opened and slammed shut. This newer, reinforced design has proven to greatly reduce replacement costs in heavy traffic restroom environments. Doors and stiles (pilasters) measure ¾ inches this, while partition panels measure ½ inches this. Class A and Class B hardware is concealed. Emergency access doors are available upon request. XPB supplies bathroom partitions in a variety of patterns and colors as well. Partitions are supported by heavy duty continuous hardware and carry a 25-year warranty. Call now.